You are here: Home / Product Reviews / Babies & Kids / Use the Force & Control BB-8 with the Star Wars™ Force Band™ from Sphero! 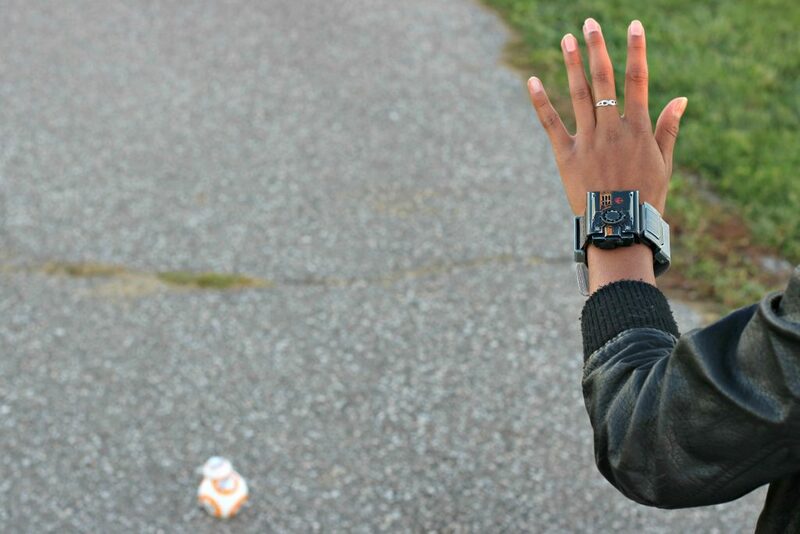 Use the Force & Control BB-8 with the Star Wars™ Force Band™ from Sphero! Star Wars™ Force Band™ from Sphero! The force is strong within you young Jedi knight and along with channeling it–having a little fun with it never hurts. Last year, BB-8 entered our lives and hearts in Star Wars: The Force Awakens. Being able to control him with your phone was incredible but, now with a wave of your hand, you can make this little hero move alongside you. The band is designed to have that authentic Star Wars feel and it fastens to your wrist and allows you to enhance your native Force powers. It is adjustable so anyone in your family can have a go at harnessing the force! 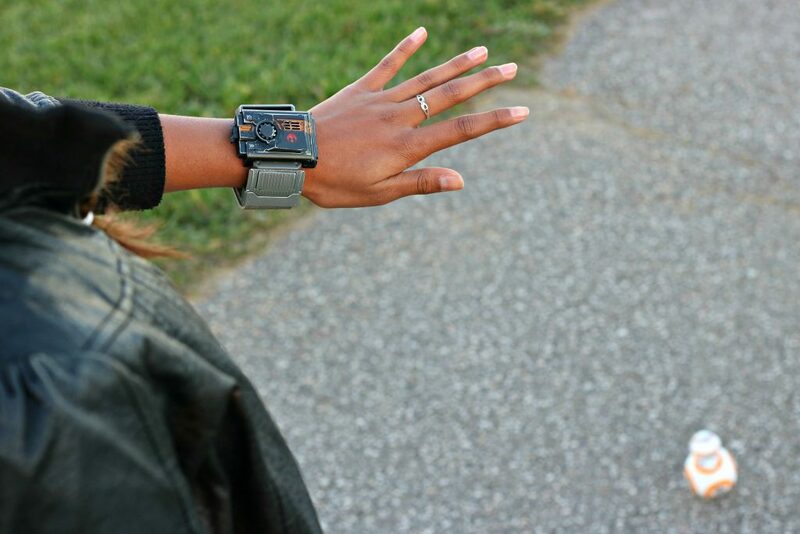 The band is held together by a magnetic clasp and looks like a high tech and futuristic watch. Even Jedi knights need a little fun and play and you will learn to control your Droid by mastering moves like Force push and pull. After you’ve advanced beyond Droid Control, expand your abilities as BB-8 guides you through Force Training. Use the band by itself to complete Combat Training for Blasters, Lightsabers, and the Force itself, or uncover and collect digital holocrons in your environment with Force Awareness. Become Strong in the Way of the Force! 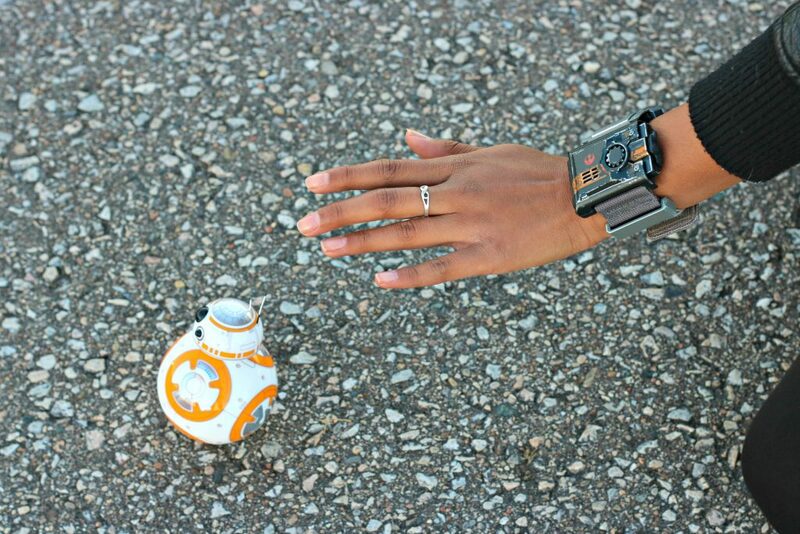 The Star Wars™ Force Band™ is compatible with the original BB-8 App-Enabled Droid by Sphero and other Sphero robots powered by Bluetooth Smart. On top of being able to move BB-8, there’s Force Awareness. This is a feature that I found to be really cool because if you feel a disturbance in the force throughout your day, you can search the space around you and find hidden prizes. You can uncover up to 100 digital collectibles known as Holocrons. They are Star Wars artifacts that contain secret knowledge, kind of like digital trading cards that show your favorite Star Wars characters. You can even get different sound bytes like the sound of the Millennium Falcon or the crackling wave of Luke Skywalker’s lightsaber through the app. As a family, we are huge fans of Star Wars. In fact, when the droid BB-8 came out, we were stoked and couldn’t wait to get our hands on one. Now, this Star Wars™ Force Band™ ups the game so much. While it’s a bit hard to get on the first couple play sessions, you’ll get the gist of it really quick. Also, it depends on the person, some are more technically inclined than others. Gabby, for example, took to channeling the force like a fish to water. 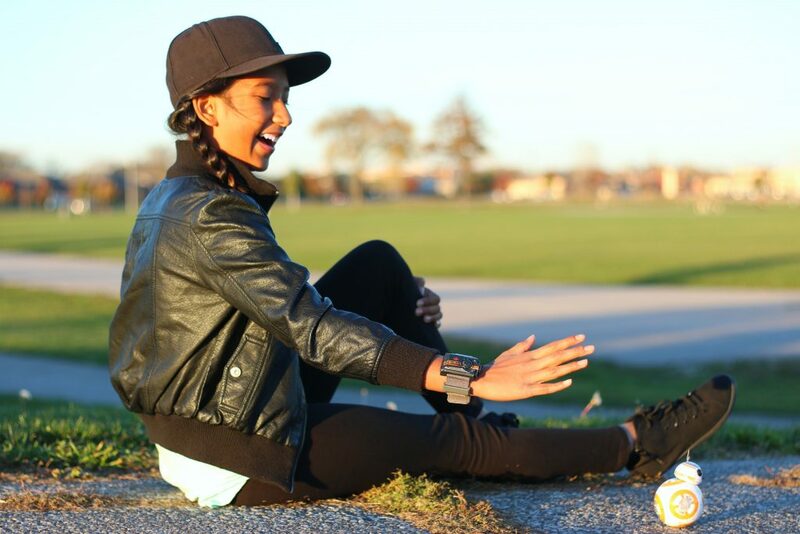 She picked up quickly and was able to move her little droid companion with ease. Also, we love that we can look for collectibles and get outside instead of being behind a screen. If you’ve gifted the BB-8 to your loved one last year or maybe even this year, this makes a great companion to the entire droid experience. I don’t know any Star Wars fan who wouldn’t want the chance to control the force. The more you play, the stronger you become in the force! It is also super simple to sync, you push down on the main control button on the band and you are guided by a voice that tells you to place your hand near BB-8. Before you know it, you will be synced and traversing your imagination through the desert of Jakku. Free App: Force Band by Sphero available through iTunes or Google Play. You can pick up the Star Wars™ Force Band™ by Sphero for $79.99 USD. For more information, visit Sphero.com to discover more about BB-8, the Star Wars™ Force Band™ and other fun toys and droids. Connect with them on Facebook, Twitter, Instagram and YouTube. Previous Post: « Amopé Holiday Gift Collections: Give the Gift of Beautiful Nails & Soft Feet this Holiday Season! Thanks for the review,i have seen those around and never really knew what they were about ! They are so much fun! For all ages! One of my boys is obsessed with BB-8. He would absolutely love this gadget! I think that I would,too.